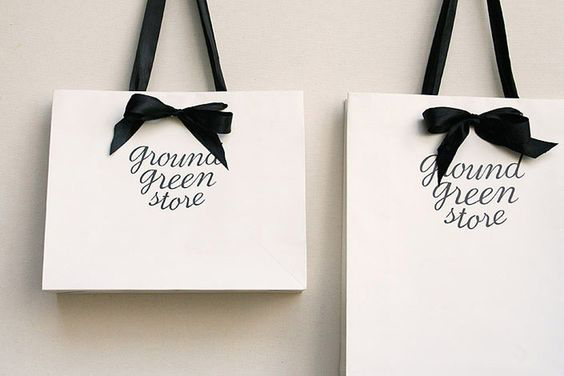 If you’re a newly established small scale retail business that is in some dire need of new ideas for eco-marketing, custom printed shopping bags & gift bags are just the thing for you. Dynamic size retail shopping bags & gift bags are a fabulous way to make your brand known as well as gets the right type of customers directed you way. Customized to make a perfect fit for any demographic, these bags are the epitome of versatility. The opportunities available in the market today are numerous with unlimited design and customization options to choose from. 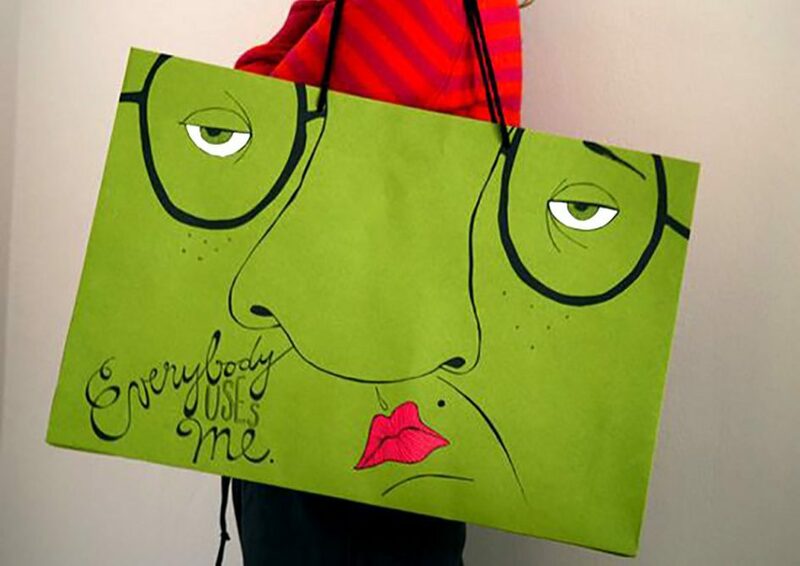 They are loved by the majority of the population and this feature is what makes custom retail shopping bags & gift bags an effective marketing tool. Connecting with vendors, customers and a whole array of different individuals involved in an exhibition at a tradeshow is the perfect way to get the right type of audience for marketing. As a brand that’s willing to get themselves known to the general public, giving people custom printed bags with all the relevant information of your brand printed on it is ideal. Any mega event like this gives your business the opportunity of building a strong relationship with other key business players in the industry. The end result can encompass making your brand relevant in people’s mind, long after the event is over. Adding custom printed bags to your inventory is the way to go when it comes to smart marketing. Old and loyal customers are surely to purchase your custom printed bags as a gesture to show support for your brand. This exposure act is sure to greatly benefit your business. Giving away your dynamic size custom shopping bag & gift bags as a freebie when customers make a purchase is such a great way to get your brand known. Relationships with new as well as old customers can be built around this kind gesture that serves as a marketing tool too. A set of parameters can be made like a minimum amount required for purchase or a frequent number of orders made before the custom shopping bag & gift bags can be availed. An element of surprise can also be added where the customer is unaware of any such offer being given and hence feel overwhelmed with their gift. Another way through which custom shopping bags & gift bags can effectively market your brand is through the glory of cross promotion. By cross promotion, we mean allowing you as a business to partner up with another brand that has demographics similar to you. Next step involves coming up with a custom shopping bag & gift bag that contains features of marketing for both the brands involved. When these are handed to top customers/clients of both brands, the necessary marketing promotion can be taken up a notch. An exchange of healthy marketing can be done as those individuals that display loyalty to both the brands will greatly appreciate this gesture. They are also more likely to help spread the word around town by carrying the custom printed shopping bag & gift bags wherever they go. Increased sales can also be expected through this method as those people who are aware of only one of the two brands involved can now become informative about the partner brand too. Sponsoring an event in your local neighborhood or locality and offering to donate your brand’s custom printed shopping bags & gift bags are another form of marketing activity that is sure to get you type of attention your business needs. Being in charge of the event, you get to choose what the rules of getting the custom shopping bags & gift bags are. Whether you choose to give it to the first 100 people that enter or whether a sign up for a mailing list is required to get the bag is totally your call. This technique is an effective means of reaching out to your target audience, whose impact is sure to last for years to come. Yes you heard that right; a dynamic size shopping bag & gift bag is just not merely a shopping bag when it’s customized to perfection. Utilize an array of designs, patterns and unique logo to capture your customers’ attention. Bold colors, attractive statements and impactful slogans are just some common examples of the direction you should be heading towards. Before you attempt selecting the perfect customization detail for your business’s shopping bags & gift bags, sit down and think about the type of image you want to portray for your brand and the type of clientele you wish to cater to. Dynamic size shopping bags & gift bags that are customized to your brand can serve as powerful advertising tool with an overwhelming amount of mileage so choosing wisely is crucial. With the year coming to an end, it’s that time to pull out all stops and make changes to meet your revenue goals. Bespoke packaging solutions in the form of custom dynamic size shopping bags & gift bags is a tried and tested marketing strategy, known to work wonders for any business serving the retail industry. Their versatility makes them the ideal promotional tool for any brand’s marketing. With the few examples being mentioned above, we can surely guarantee you as a business can safely make all the necessary gains you wish to achieve in the most simple, cost effective and convenient manner.